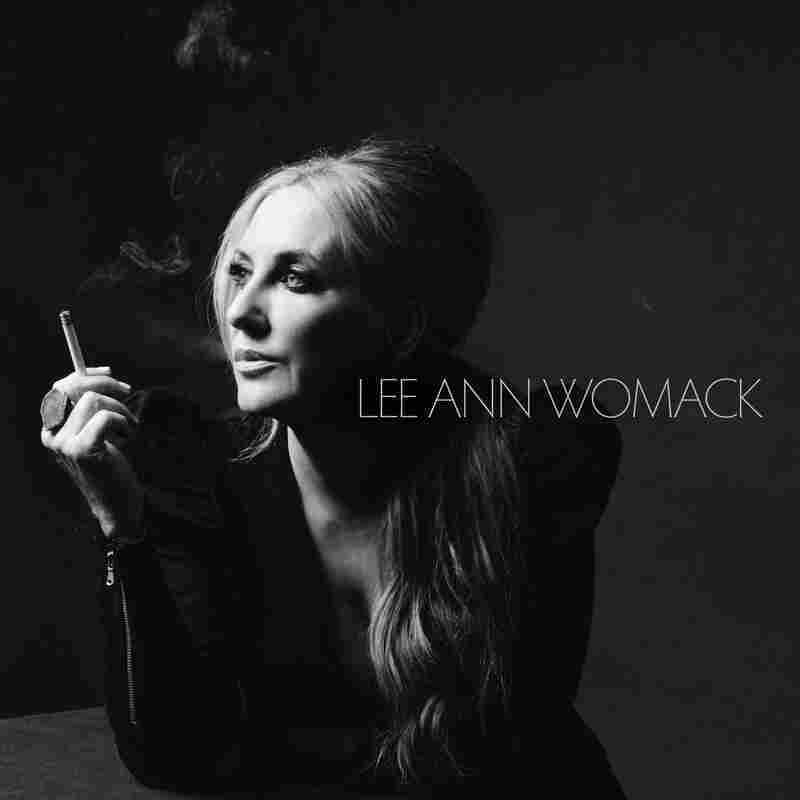 Lee Ann Womack Embodies 'All The Trouble' In A Wrenching Country Blues One of country music's finest voices returns on The Lonely, The Lonesome & The Gone -- Womack says the record is an intentionally imperfect portrait of East Texas country and blues. Lee Ann Womack's The Lonely, The Lonesome & The Gone comes out Oct. 27. Many a singer has sung of mustering the strength to overcome hardship; it's the stuff of blustery power ballads, irrepressible empowerment anthems and aggressively aggrieved rock sing-alongs. But it's a simpler thing to narrate that act through lyrics than it is to embody that experience through a vivid performance. In "All The Trouble," from the upcoming album by Lee Ann Womack, one of country music's finest voices, she makes her entrance a cappella, sounding deflated beneath the crushing weight of her burdens. When the band eases into its loose-limbed groove, she remains fatalistic. Her sighed phrasing and subtly sagging notes signal resignation: "It's hard being little; it's hard being small / Make it up that mountain, you're standing big and tall / Well, the trouble with a mountain, there's a million ways to fall." As she reaches the refrain a second time, Womack leaps an entire octave, mustering the full, keenly melancholic force of her head voice. With everything in her she resists the suffering that would flatten her, confronting reality with been-there resolve. "I need a happy ending; somebody write me one," she implores, conveying willfulness through bluesy curlicues. "If there's a prince waiting, somebody send him on / Even Cinderella had to find her way home." She transforms "find" into a strapping, three-syllable word, as if to signal her determination to be her own rescuer. "It's kind of a waking up," Womack says modestly when she calls from her tour bus, which is parked next to a food truck somewhere in North Carolina following an overnight drive. It's not false humility on her part. The dominant emotional mode on current country playlists is one of fleeting flirtation — but she's bent on recapturing the wrenching, thoroughly adult expression that generations of listeners have found in country music. After transitioning from the high-stakes major label mainstream to a roots music scene that's suspicious of slickness, Womack has an ideal music-making partner in her producer-husband Frank Liddell. Liddell started out as her A&R guy some two decades ago, passing her CDs stocked with the leathery, countrified compositions of under-appreciated singer-songwriters, but had only a small handful opportunities to actually produce her until 2014's The Way I'm Livin'. The pair recorded The Lonely, The Lonesome & The Gone (due out Oct. 27 on ATO) both in Nashville, where they're based, and Texas, where they each grew up. Womack spoke with NPR about what she's after and how the pursuit of it has changed her process. NPR Music: You've got access to the best studios in Nashville, and even have one in your home. What difference do you feel like it made — to you, to the process, to the results — that you returned to your native Texas to record? 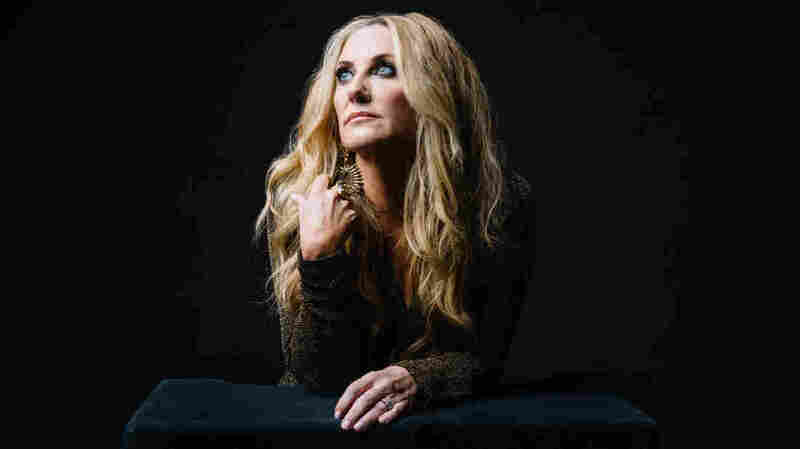 Lee Ann Womack: It got Frank and me in a different mindset. Especially Frank; he works on Music Row every day, and has for years. There's a system and there's a way things are done. It's sort of a factory. Getting out of there gets him and the musicians and me in a different mindset. You're reminded that it's not all about what goes down in Nashville. There's a whole world out there of people who love music and don't care about the rules. In East Texas in particular, it reminded me of why I got into this business in the first place. When I was growing up in East Texas, I was full of hope and dreams and there were no boundaries and no rules. I feel like that when I go back there. Was "All the Trouble" one of the songs you recorded at Sugar Hill Studios in Houston? Yes. We recorded all the songs there except for the broken-down acoustic things. Does it feel like a country blues song to you? It does to me, yes. That's so much about what I do, and what I wanted to do from the very beginning, and what I have in me. So much of that is in Houston, and of course, [George] Jones and [Mark] Chesnutt and everybody being from the Beaumont area and all that coming over from the delta, the blues. There's so much of that in that part of the country, and that's what I wanted to capture. The musicians gave such tumultuous performances. What it was like performing amidst that? Part of that is because of the musicians that we chose and part of that is because of the way we chose to record it. You're getting all of that because these guys are reckless players. That's what Frank wanted, and what I wanted: "Don't be afraid to make a mistake, and we might leave it on there, because that's what happened in the moment." That's when you're making music, not when you're isolating everything, so that you can go back and fix things, go back and perfect and perfect. That's obviously not what we were after here on this record. It was more about capturing a group of musicians who are standing right next to each other, looking in each other's eyes, going, "What are you about to do? Should I lay back here? Should I step up?" All of that energy and angst is on there, and you can hear that. At least I thought so. I'm glad to hear you say that, because I thought that's what was on tape. This is one of the songs on the album that you co-wrote. Both of your co-writers on it [Adam Wright, one half of the duo the Wrights and nephew of Alan Jackson and Waylon Payne, son of Sammi Smith and longtime Willie Nelson guitarist Jody Payne] have strong country pedigrees. Waylon also grew up in East Texas, so he has that exact same thing in him that I have, that sorta soulful, bluesy, sorta country background. It's just in his spirit — it's not [like] you just turn that on when it's time to make music. It's just in our fabric. You can't really grow up there and be so involved in music and not have that. It has a lot to do with church and a lot to do with the people that are from that area and just the way things are done. Texas has such an independent spirit about it. Did you do more writing for this album overall than you've typically done in the past? Yeah, which was at Frank's insistence. I used to write a lot, and then when I got caught up in a commercial career and also having kids and everything, it sorta takes away a lot of time, so I got away from it. I've written a lot over the years, but refused to record my songs, because when I sit down and listen to my songs next to Harlan Howard or Dean Dillon or people like that, I think, "I'm just not... Why would I...?" It's kinda like playing guitar. I don't play guitar a lot either, because I think, "Why would I play guitar when I've got these great guitar players that I pay to do that?" With this particular record, because of what I wanted to accomplish with the whole country blues vibe, it was important to write, since those songs are not necessarily just laying around everywhere. When you look back, do you feel like certain songs you chose even at the height of your mainstream success, like the keening country blues number by Buddy and Julie Miller — "Does My Ring Burn Your Finger" --- foreshadowed the work you're doing now? There's no doubt about that. Of course, I always had it in my mind. When I was a kid, I loved what I heard coming out of Nashville, or what I perceived to be coming out of Nashville — what was on country radio. I loved all that. And by the time I got to Nashville, they weren't really making it anymore. But my first single was "Never Again Again." From the moment I wanted to record that [traditional country ballad] and then insisted that it be my first single, I remember telling [producer] Mark Wright, "This is who I am, and I realize this isn't a number-one country radio song. I know that. But I want people to know right off the bat who I am, no mistaking that, because that will set the course of things forever." I always knew where I was headed. I didn't know that the whole commercial country career was gonna last as long as it did. I thought, "I'll get as much out of this as I can." But I knew where I belonged. Throughout, I wanted to give the record label what they needed. I signed a contract that said I was bound to make commercial music for them. But the whole time I was cutting Tony Lane songs and Buddy and Julie songs or writing "Twenty Years and Two Husbands Ago," you know, that sort of stuff. So it's always been my plan. This album has some of the most immediate and deeply felt vocal performances you've recorded. What would you attribute that to? I think it's because there was nobody [involved] who was thinking about, "How are we gonna get this on the radio?" Or, "How are we gonna make the record label happy?" None of that was in the mix when we were recording or writing or anything. It was all about, "Let's just capture real music, and what I feel like doing at the time." The Lonely, The Lonesome & The Gone comes out Oct. 27 via ATO Records.